The Lumia 950 XL is not the cheapest 4K-capable cameraphone on the market. 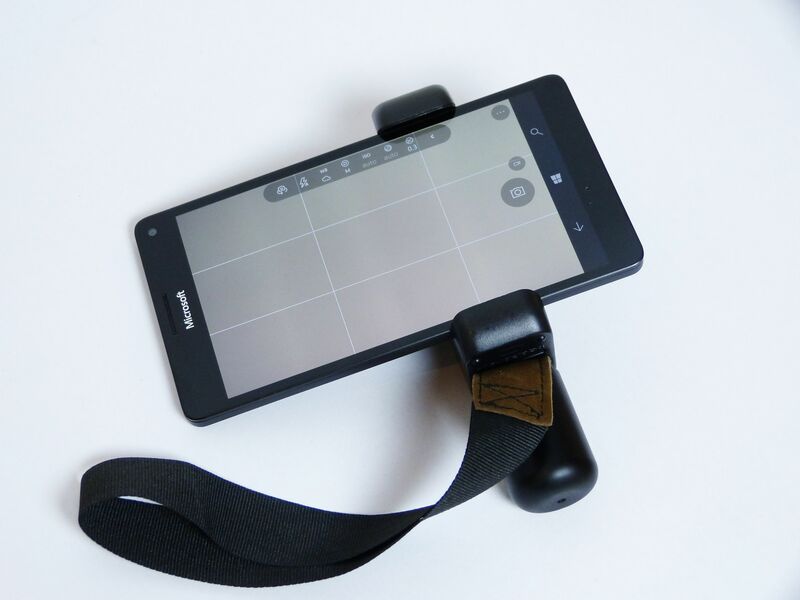 The 950 XL is not even the cheapest with optical image stabilization and manual mode. Look at the LG G4. This well-recognised, respected and high-quality cameraphone costs just 350 Euro now and it supports camera, video and streaming applications that are way beyond what you’ll find in the Microsoft Windows Store for the Lumia 950 XL. You get access to more storage and sharing apps too. Google Photos, for example. The 950 XL has an extremely high quality camera and 4K videos recorded at 60+ Mbps seem to retain a lot of information but that’s probably already too much information for nearly all smartphone owners. We passed ‘peak smartphone camera’ a few years ago. There’s more to consider before we file the 950 XL under B1N. Docking and Continuum are unique features. More on that later. The 5.7-inch Lumia 950 XL phablet has an excellent high-resolution AMOLED screen with pro-level properties. My colleagues at Notebookcheck saw accurate colours and nearly 100% coverage of the sRGB space. Contrast is infinite and brightness can be very high giving it excellent outdoor view-ability. For previewing professional photographs from a DSLR this is an excellent solution but once again this is probably too much for the average smartphone user and anyone that might be interested in these specs is probably looking for the latest in camera applications. The Lumia 950 XL can’t keep up. Best value? – New ASUS Zenfone 3 launched at Computex. During the time I’ve been researching and writing this article the ASUS Zenfone 3 has launched. The base version of this phone is going to cost $250 and he specification list looks amazing for the price. There’s no 4K video resolution but there’s a 4-axis OIS module and all the specifications you’ve come to expect from high-end smartphones. Take a look at the Mobilegeeks ASUS Zenfone 3 hands-on. 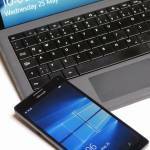 Windows 10 Mobile Store Applications. In terms of applications you should already know it’s a sad story. Microsoft’s Windows 10 Store is lagging in quantity and quantity and is a complete turn-off for anyone who likes app discovery. That’s most of us! The likeliness that the Windows Store will improve for consumers is low too as Microsoft have effectively stopped all their work on consumer smartphones. Can you imagine any software vendor risking money on a consumer-oriented Windows 10 Store application now? The Facebook, Twitter and Instagram apps are solid but not advanced. Maps are great and Skype is well-integrated but you won’t find Periscope or Facebook live streaming available and don’t expect to be leading the pack with games. There are a few other application sectors that you might want to consider too. If you’ve got a smartwatch, some home automation equipment, if you’re used to using your city’s public transport apps and if you want to do any sort of analytics of ‘big data’ work, forget it. Top Windows 10 Store Apps. Glympse, FlightRadar, TuneIn, Netflix, Fitbit, Deezer, Runtastic, Telegram, Flipboard, Kindle, Wunderlist, Kik, TwitchTV, LinkedIn, Evernote, Uber, Shazam and Spotify are there in official versions and there are some good 3rd-party apps for other services. Pin.It for Pinterest, for example. Even I can’t use the Lumia 950 XL. I’m a cameraphone fan, Lumia fan and big Windows user in mobile situations. I’ve tried using the Lunia 950 XL as my main phone but it lasted only 30 minutes before I had to switch back to Android to book a local public transport ticket. I was also caught out when I wanted to livestream an event in my home town. I’m continuing to give the 950 XL a chance by carrying it as a camera. I am using a relatively cheap dual-SIM Android phone (an Honor 5X) as my main phone and apps machine but I’m going to drop a cheap data card in the Lumia 950 XL and it will become part of my ‘work’ setup. I’ll keep my ShoulderPod close by and will be adding a small Bluetooth keyboard to my backpack kit. I’ve got a few long weekends and holidays coming up where the setup could be interesting, especially as the Edge browser is fast. 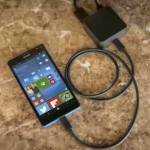 More Lumia 950 XL features. Apart from the camera you’ll be getting full 300 Mbps LTE coverage and a big battery meaning the Lumia 950 XL can also be a superb LTE hotspot. 400 Euro is a lot of money for an LTE hotspot but consider the other specifications. AC WiFi, NFC, Gorilla Glass, Compass, Barometer, 3 GB RAM, 200 GB SD card support, Qi wireless charging a removable battery round-off a good list of specifications for the price. I haven’t mentioned Continuum yet and there’s a good reason why. 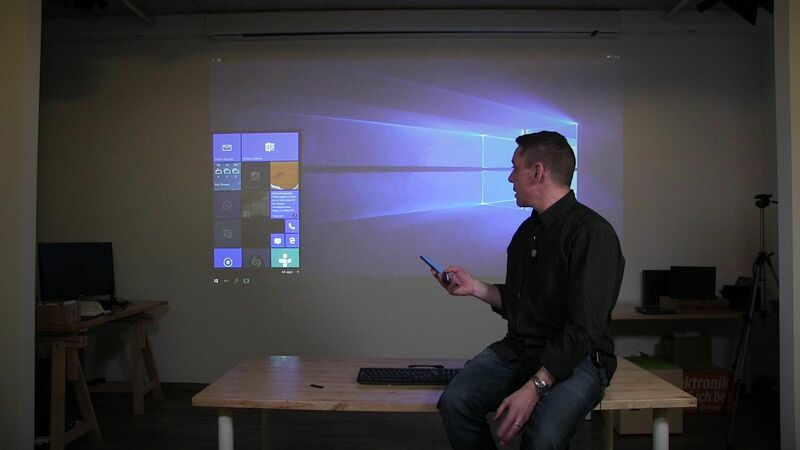 I simply don’t see many people using Continuum. 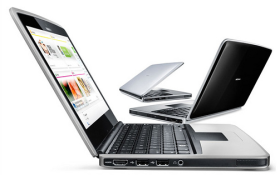 There are cheap laptops and good Android tablets that do a better job. The iPad Pro 9.7 is expensive but offers an amazing camera and fantastic optional keyboard case. The additional cost and bulk of the Lumia display dock, despite it now costing half of the price that it launched at, are barriers you just don’t want. This applies to business users too in my opinion. Lumia 950 XL. Summary. Lessons learned. The Lumia 950 XL is built around great hardware and, as it should, includes a fantastic camera. The unique Continuum feature is interesting but not quite powerful enough to give the product a compelling selling point. 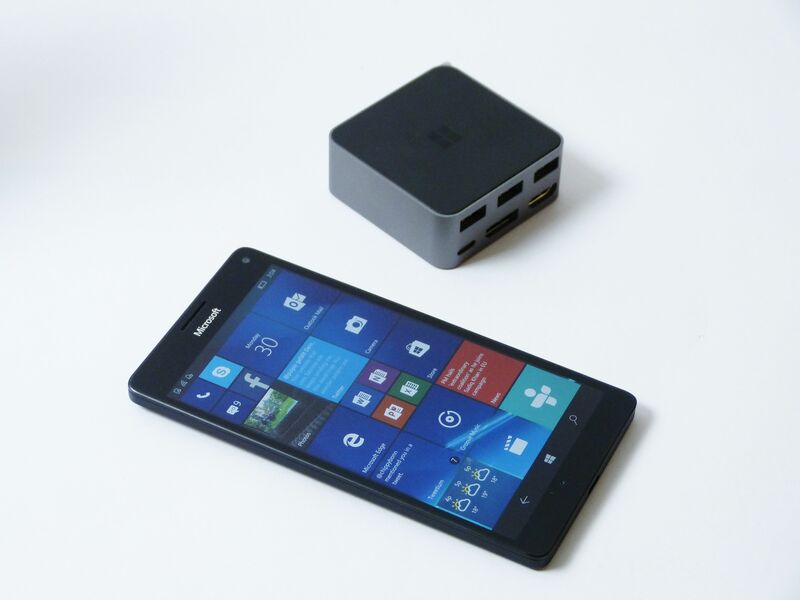 The Lumia 950 XL is also somewhat boring. The design, both hardware and UI, isn’t stimulating enough for the latest smartphone users. I’ve seen more exciting designs at that price. I’ve also seen (and am using) a smartphone with a better ‘unlock’ method. Hello iris scanning is too slow. Fingerprint scanning is so much better. 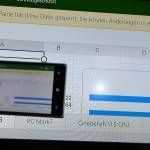 Earlier Lumia 950 XL software builds were a bit wobbly and reviews of those devices still linger in the top 10 of search results. When designing a new product you really must remember that early reviews are the reviews that get traction and will dominate search results forever. Stability is OK now. 10586.318 (May 2016) is too late to rescue Microsoft from early Google-indexed content. Lesson learnt? As Windows 10 continues along its ‘many upgrades’ path I wonder whether it was such a good idea. The Windows Store application ecosystem remains weak and slow development rate is likely to lag way behind mainstream user requirements unless Microsoft pulls a rabbit out of the hat. See below for more on that rabbit. Pricing is, despite recent discounts, still too high and new challengers are appearing weekly. The latest ASUS Zenfone 3, launched during the writing of this article, is a classic example. Part 2: Lumia and Microsoft Store rescue plan. Ignoring the possibility that Microsoft might actually be, as part of a long-term strategy, stepping completely away from consumer focused operating systems and software and putting more effort into business offerings, let’s take a look at some ‘rabbit from the hat’ scenarios. Firstly, let’s not mention Android support. I can’t see any reason why Microsoft would bother with an Android sandbox or an Android OS to fill the app gap for Lumia. It doesn’t make any sense at all. Microsoft could throw all the millions saved into app development. It makes sense to me that Microsoft would do that but would it result in a raft of consumer-friendly apps. Probably not. Whether its legal to pay ISVs to develop consumer apps for Microsoft Store is another matter so perhaps buying a few more software houses could be one answer. A Surface Phone could generate interest but would be a very risky project with that very valuable brand right now. Some damage was seen with the Surface Pro 4 and Surface Book products but it looks like Microsoft have recovered from that. If I were Microsoft I would not risk it again. The chances of a Surface Phone are also low due to the ever-improving competition in this market. I’ll give this a 3/10 chance of happening. I like the idea of a low-cost, ultra light Lumia laptop as it leans more towards Microsoft’s productive customer base. HP have already announced the Elite X3 and laptop but that’s very business focused and won’t help grow pro-sumer interest in the Windows Store. Have a look at my LumiaBook proposal below and think about some gaming while you do that. Price cuts on the existing Lumia range will happen but don’t expect Microsoft to dump the products for silly bargain prices. Retailers are expecting the margins at least close to the ones they planned for. One of the areas that Microsoft will have to defend over the next 12 months is the sub 13 inch consumer laptop space. Windows Store is critical to that and with Google’s announcement that Android apps will come to Chrome OS, Microsoft needs a strategy that not only defends the sector but serves to promote the Store as a credible place to develop apps for. Surface is a valuable brand driving high-margin products so it could be risky to use that to promote ultra-thin $400 Windows Mobile laptops with LTE but if the product looks good, it could work. Personally I think it’s a better strategy than the Surface Phone where there’s just too much competition. Maybe LumiaBook is a better brand for this activity. The Microsoft LumiaBook would effectively be an upgraded Lumia 950 inside a laptop body with a larger battery, higher powered CPU (possible due to much better thermal characteristics) and the USB-C port. Microsoft could even rework the old Nokia Booklet 3G design for that! The docking station should work with it and it would need a touchscreen. 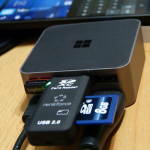 A micro SD card slot would allow storage expansion a-la Surface Pro. Keep it simple and launch it with a few new apps. And games. Microsoft appear to be keen to get games into the Windows UWP platform. Could this be an opportunity to promote the possibilities. Free controller, free games, free docking port. Don’t forget you’ll be getting a free suite of Office Mobile apps, Remote Desktop, impressive battery life and always-on capability. The camera doesn’t have to be expensive, the screen doesn’t need to be AMOLED (but it needs to be very good) and you don’t need so many of the advanced sensors. A 2-in-1 version of the LumiaBook, using a similar design to the SurfaceBook, could also be interesting but there are cost issues there. What do you think about the idea of a LumiaBook laptop? 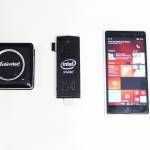 Could it generate more interest than a Surface Phone? 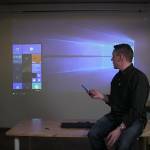 Will it help developers understand with Continuum is all about? Will it generate interest? Or is it game-over for Windows Store and consumer Windows products? If you look at the speed MS is moving is will just get further and further behind. Apps are absent or lack features compared to IOs/Android. It has only gotten worse during the last couple of years. The idea is to have a brand presence, or even dominate as many of these markets as possible, and then try to spill over to the remaining markets. For Microsoft, there is not much they can do on Smart Phone, Music Players and wearables now. They are doing okay on a few categories in the middle but the “Laptop-computing era” is on the “OUT” and desperately needs evolution(discuss later) to stay in; whereas “Gaming Rig” and Game Console is quite niche and only relevant to small group of consumers. At this point, I’d like to point out that there is another company having exactly the same predicament as Microsoft, and that’s nVidia. The fate of both companies are almost tied to each other. I think what Microsoft needs now is to have even more hardware-manufacturing capabilities: from silicon chips design, to aluminium and plastic chassis finishing. Perhaps by following this “entertainment-first” roadmap, instead of a “Always Business/Serious” attitude, Microsoft can eventually be back in the center of Consumer’s attention. Hi Chippy, I think 950_950 XL have some market. I just got a 950 and I agree with you design wise is bored but it’s working great for me. I used this week for working from home using the dock and man, couldn’t be happier. I didn’t have major issues. Was connected to my office, streaming Pandora to my Bluetooth receiver and texting, whasaaping on the phone. Really impressed, specially when I answered the phone and the Cyrix connection on Edge was still alive, I had a phone meeting and was able to use my Surface 3 for taking notes and still see what people were sharing on Lynch. I really don’t see what’s so unique about Continuum – I have been able to plug keyboards and mice in to my phones and connect to a TV or monitor for ~5 years AND without having to carry around the second box. IF this set up gave you a full windows desktop, I would happily go out and buy one tomorrow but as it is I don’t see anything there that can’t be done (and better) for a fraction of the price on any Android device. Chippy: is there no web site that offers the same service? May not be as convenient but at least a workaround. So far I always found a workaround but certainly inconvenient at times.